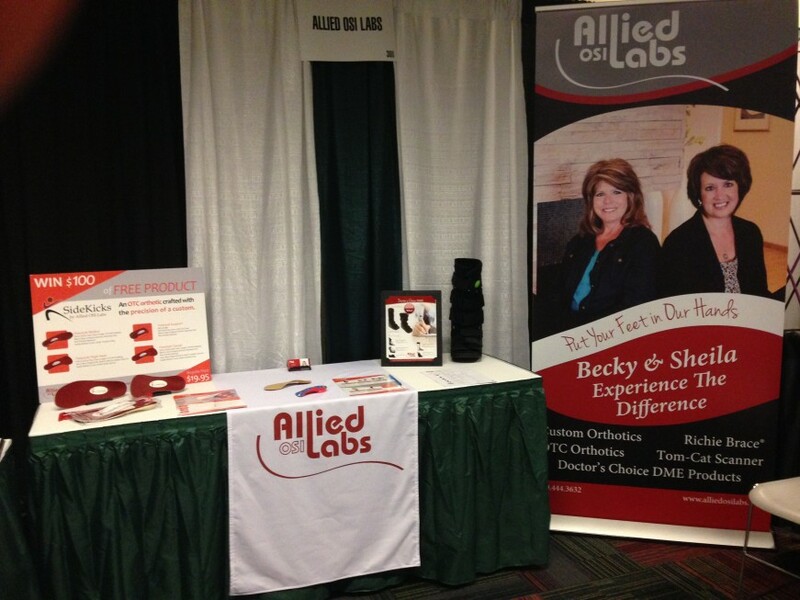 The Allied OSI Labs team thanks everyone who stopped by our booth at the 2015 Midwest Podiatry Conference (MPC). The theme of “Adapt. Evolve. Change” continued this year as the conference focused on the concept of evolution in the orthotic industry. For the Allied OSI team, nothing could ring truer. Over the last year we have strengthened our customer service team with the addition of Becky and Sheila and we expanded our line of Sidekicks OTC orthotics. We were especially excited to hold a drawing for free pairs of the New Sidekicks Freestyle – a $100 value! Congratulations to our winners – Dr. Sean Keating and Dr. Liza Saviano. Conferences like the MPC are always a great way for industry professionals to reunite, share ideas and collaborate on ways to make our “world” better. One of the most exciting things for our team is the opportunity to connect face-to-face with our valued customers; whether it’s to answer questions about previous orders, introduce new products, or simply visit.